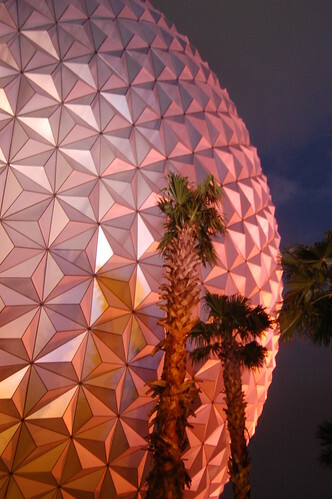 Home » Category archives "Holiday"
Orlando is a city most famous for its proximity to the Disneyland theme park. For millions of families a year Orlando is little more than a stopping off point before heading down to Disneyland. Savvy travellers know that there’s much more to Orlando however, as well as the city’s own mix of modern culture and parks, Orlando’s other great attraction is the world famous Cape Canaveral. Orlando is just under an hour’s drive away from Cape Canaveral and so perfectly situated for a visitor’s attraction that is literally out of this world. Cape Canaveral is famous and of incredible significance all over the world as the jewel of the US space program. The site, on the east end of Merritt Island on the Atlantic coast, was selected to be the location of the Kennedy Space centre where the vast majority of US space missions are launched from. The location on Merritt Island was chosen partly because it was sparsely populated; meaning less people were at danger from potential accidents, but also due to the island’s southern location. Rocket scientists found that, due to the Earth’s curvature, linear velocity was greatest closer to the equator; this makes it’s easier for rocket taking off to escape the Earth’s atmosphere. The vast majority of US space missions have been carried out from Cape Canaveral, including the iconic Apollo missions. Cape Canaveral was where Neil Armstrong, Buzz Aldrin and Michael Collins launched in Apollo 11 to become the first people in human history to set foot on the Moon. Viewed live by over 500 million people around the world, the Apollo 11 Moon Landing is possibly the most impressive achievement of human history to date and Cape Canaveral is the place that made it possible. Disneyland can’t really compete with that. Although the Space Shuttle program has finished, visitors can still come to see rockets launching into space on missions of science and exploration. 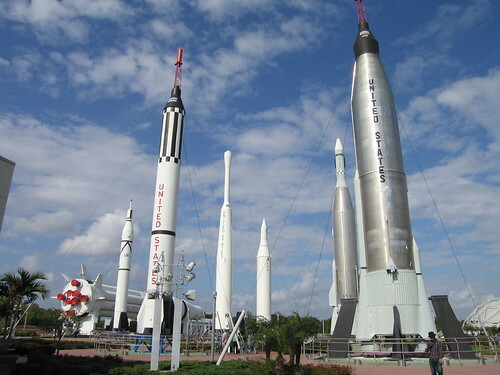 Cape Canaveral also has extensive visitor’s centres that bring its inspirational history to life. Visiting Cape Canaveral is best done from Orlando; details are available via Travelup Reviews. Travelup is a respected travel agent that provides flights and accommodation at great prices whilst the Travelup Reviews keep customers up to date with any essential information. The United States of America aren’t running short on iconic monuments. The USA is home to landmarks such as the Grand Canyon, the Empire State Building even Cape Canaveral, but few of these memorable monuments have quite the same inspirational appeal or cultural significance as the Statue of Liberty. No visit to New York is complete without stopping off to pay homage to the colossal statue built to embody the American dream. 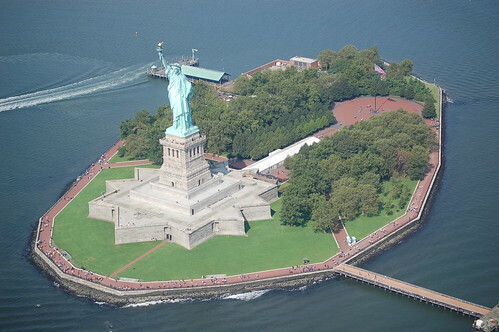 The Statue of Liberty is a huge neoclassical statue of Libertas, the Roman goddess of freedom. The statue embodies the principles of freedom, justice and opportunity. Standing on Liberty Island, it rises triumphantly over the Hudson River to welcome all new coming settlers to the country. Throughout the twentieth century the millions of worldwide migrants to the USA sailing in up the Hudson River, were inspired by the bold statue. The statue was actually a French creation gifted to America in 1886. The design was by architect Frederic Bartholdi. Bartholdi in fact had a penchant for giant statues: he’d previously spent years proposing a replica Colossus to be built at the entrance to the Suez Canal. His Statue of Liberty was agreed upon to mark the centenary of the USA and cement relations between the USA and France. Bartholdi built a twin statue in Paris that the American statue was copied from and shipped across the ocean limb by limb. Visitors to Paris today are still regularly surprised to see the original Statue of Liberty rising over the Seine, but slightly embarrassingly dwarfed by the nearby Eiffel Tower. No replica can compare to the New York Statue of Liberty though. No other monument has so effectively captured American ideals of freedom as well as the unembarrassed sense of bold ambition that is the American dream. It is a statue that inspired generations of American settlers and still strikes awe into the hearts of those who visit. Liberty Island is open to visitors by regular ferry rides, although the statue can be seen and enjoyed from almost anywhere around the Hudson. Visiting details to Liberty Island, as well as travel and accommodation information for New York is available on Travelup Reviews. Travelup Reviews contains a comprehensive collection of essential information on many destinations; it is then easy to book any vacation through the Travelup website. Orlando has become universally synonymous with Disney World, and rest assured the cartoon mouse pretty much dominates the area. 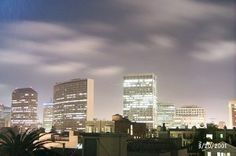 Much of the financial success of the Orlando area can be attributed to the grossly unbalanced tourism industry in Orlando in comparison to other parts of the state. Disney obviously employees many performers and entertainers, and once the mouse ears come off, they contribute to the burgeouning Orlando entertainment scene. The Orlando Shakespeare Theater is a local favorite, offering all of the classics performed by a group of very talented actors. There is also Mama’s Comedy Show, which is set in a smaller venue and encourages audience participation. If you aren’t too shy that is probably worth a visit. For nature lovers and thrill seekers, Central Florida is also home to Discovery Cove, where you can swim with the dolphins and relax on the lazy river, which features a waterfall and cave. If you’re looking for even more excitement, then try iFly Orlando; a wind tunnel that allows you to experience the exhilaration of jumping out of an aeroplane without actually jumping out of an aeroplane. Any grown ups who visit Disneyland will be pleased to know there is one attraction they cannot miss: Around the World at Epcot Center. No expense has been spared in this recreation of different parts of the globe, the employees all hail from the different countries they are assigned, adding to the authenticity of the experience. Its no substitution for actual globe trotting, but once you enjoy a Bellini in Italy, a perfect, cool margarita in Mexico, and a glass of grower champagne in France, there’s a small chance you might forget you are in a Florida theme park. Outside of the them parks, the dining scene in Orlando is mostly geared toward small town tourists, and there is a disproportionate number of chain restaurants compared to ones with local flair. There are a couple of exceptions that are worth the visit: Chatham’s Place has been around for many years, and still impresses the locals with it’s hospitality and uniqueness, and Café Tu Tu Tango is a fun restaurant with the recurring theme of “Food for the Starving Artist” and features art work from local painters and photographers on the wall, all of which are for sale. Travelup reviews are published by the renowned Reading travel agents Travelup. Travelup reviews are written for all major holiday destinations. Sydney, located in New South Wales on the South-East coast of Australia, contains perhaps some of the best known landmarks in the entire world. 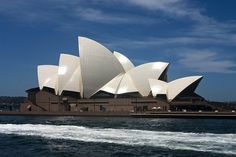 Travelup reviews Sydney attractions and provides affordable holiday packages including flights and accommodation to allow holiday-makers to explore everything the city has to offer. Bondi Beach is quite possibly the most famous stretch of sand in the entire world. A full kilometre long, the beach boasts golden sands and clear turquoise seas where at dawn the sun appears to rise right out of the water. Popular with surfers due to the amazing waves, there are hundreds of activities to be enjoyed both on the beach and in the water. The nearby Campbell Parade boasts some of the finest bars and restaurants in the area for times when baking in the glorious, almost year-round sunshine becomes just too much. The Taronga Zoo gives visitors who don’t fancy trekking through the bush an opportunity to see some of the unique wildlife Australia has to offer within natural habitats. The zoo is famous for the first elephant birth ever in Australia in 2009, and thousands of visitors flock to the park every year just to see the calf Luk Chai. Visitors to the zoo can experience a Sky Safari which takes them over the top of the enclosures and deposits them within the Edwardian entrance pavilion. Taronga has strong conservation links and works hard to promote animal welfare both within the zoo itself and across the planet. 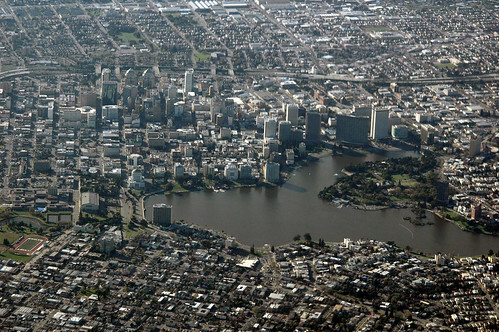 For those more interested in flora than fauna there are the Royal Botanic Gardens nearby, with exquisite displays of both native and exotic plant-life and many open green spaces ideal for picnics. Of course, no visit to Sydney would be complete without checking out the iconic Opera House, located within Sydney Harbour. 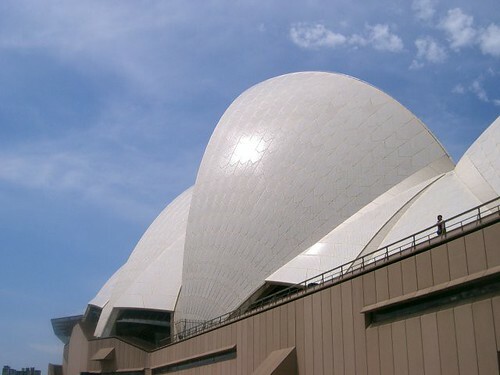 The multi-purpose performing arts centre features four resident companies: the Australian Ballet, the Sydney Symphony Orchestra, the Sydney Theatre Company and Opera Australia, who give regular performances throughout the year. On top of this many world-famous touring companies have played at the Opera House since it first opened in 1973. 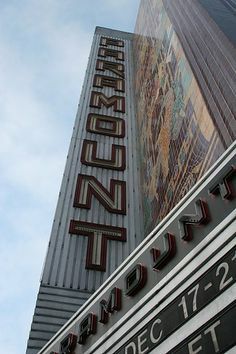 Visitors who are more interested in the soaring architecture can choose to simply view from outside or take advantage of the numerous cafes, bars, restaurants and retail outlets within the building, or take a guided tour including daily backstage admission to areas normally reserved for performers, cast and crew members. The first thing that comes to mind for a lot of people when they think about Orlando in Florida is Mickey Mouse, rollercoasters and theme parks. This sunny part of the world has become a bit of a theme park homeland attracting families and couples from all over the planet to experience the rides and adventures on offer. 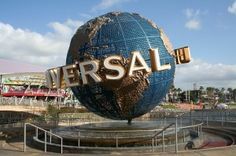 One of the most recent additions to the Orlando theme park roster is Harry Potter World, which is part of the Universal Islands of Adventure. Other impressive parks that you might already know of are Busch Gardens – home to some of the biggest rollercoasters – SeaWorld, and the original, and arguably still the best, Disneyland. You could spend your entire trip visiting these parks, and many people do. They may be a little bit pricey and they don’t offer the highest cultural experience, but where else in the world are you going to get to play out your movie star fantasies, adventure into an underwater world or even sign yourself up for American Idol and embarrass yourself on American TV. After you have either entertained the kids, or enjoyed being one yourself, there are quite a few other highlights to be had on a trip to Orlando. Being California, there’s a tremendous collection of spas and health centres. There’s no end of luxurious places for you to spend the days pampering yourself. And if that’s not your thing either, or you want to get your husband out of the way so that you can stay in the spa a little longer, there are plenty of golf courses to while away the hours on too. Hidden behind the glare of the theme parks there’s also some genuine culture to be explored in Orlando. Whether it is the City Arts Factory, where you can look at the art or relax in their classy coffee house, the glass exhibit, or the world famous Blue Man Group concerts, you can fulfil a few slightly less guilty pleasures in Orlando too. Orlando is one of the great family holiday destinations. Take them there before they grow up; just make sure that you take some time to enjoy the other sights once you get there. Travelup reviews are distributed by the experienced travel agents at the Reading agency Travelup. Find a Travelup agency the next time you are planning your trip abroad. You can also find Travelup reviews for many of the other holiday destinations you might be considering.